The Schrott Center for the Arts. This is the third year of music students performing to honor African American music. Photo courtesy of the Butler University website. The Black History Month Concert, now known as the Celebration of African American Music Concert, is returning to Butler University on Feb. 27 at the Schrott Center for the Arts. The concert is celebrating its third year with the addition of the Crispus Attucks Choir. Just as in previous years, the concert will also have guest singer Sherri Garrison, who works with the Eastern Star Choir, as well as the Eastern Star Choir itself. The concert was first started two years ago by Jeremiah Sanders, a Butler alum. He realized there weren’t many discussions revolving around black composers. He saw the need to fix this disparity by creating a concert to bring black composers to the forefront. A year after he started the concert, he was joined by Butler faculty John Perkins and they have worked together since. The concert’s mission statement was written by Sanders and Perkins. They hope to celebrate African-American and Afro-Centric knowledge through this concert. Not only that, but they also hope to encourage the audience and participants to re-examine their relationships with themselves and others as well as their knowledge of music. Perkins, the associate director of choral activities, has helped co-direct the event for the past two years. While he was working in the UAE, Perkins said he realized how cultures that were considered “other” were sometimes erased from predominantly white higher education systems. He said he now feels a responsibility to help change this. Butler has two groups in the show: the chorale and the choir. As associate director, Perkins has been working closely with Butler chorale and choir. One of the works that he said has been the most challenging is a piece by Joel Thompson entitled “Seven Last Words of the Unarmed.” The music is set to the last known words of seven unarmed black men who were killed by police. Markell Pipkins, a senior music education major, has been involved in the concert series since the beginning. This year he taught and directed a song to the mass choir which is comprised of the four groups participating in the concert. Pipkins praised the music directors at Butler for their awareness of how beneficial world views can be and talked about the legacy the concert will leave in the future. 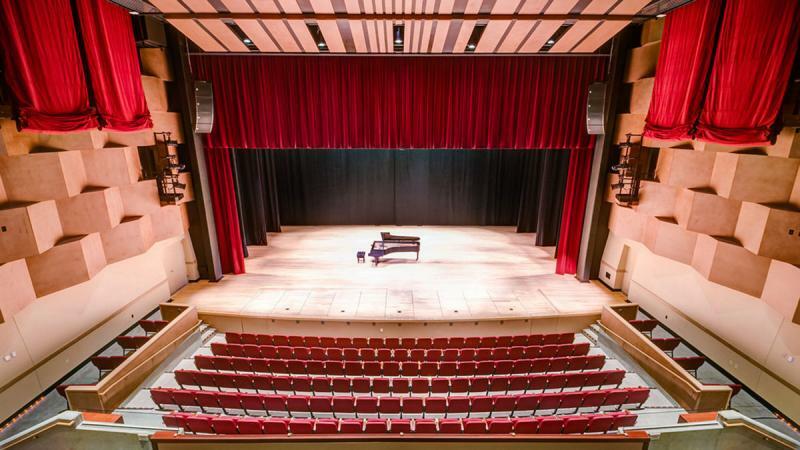 The Black History Month concert is free and will be held at Schrott Center for the Arts on Feb. 27 at 7:30 p.m.